Halloween may be over, but here in the U.S. at least we have a few more weeks of pumpkin themed fun. 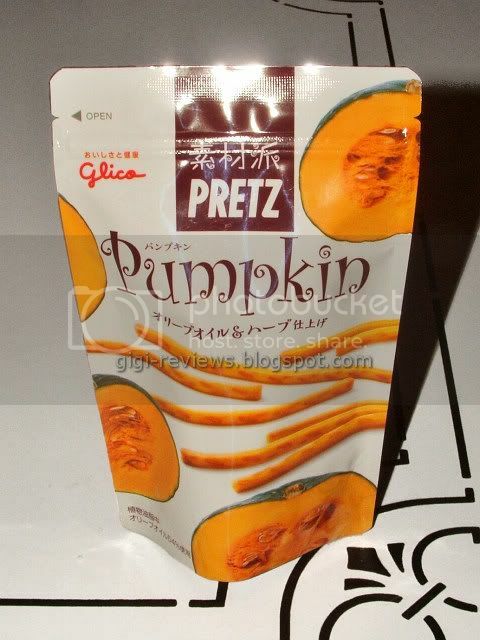 So I thought now would be a good time to pull out the Pumpkin Pretz my good friends at J-List were nice enough to send my way. 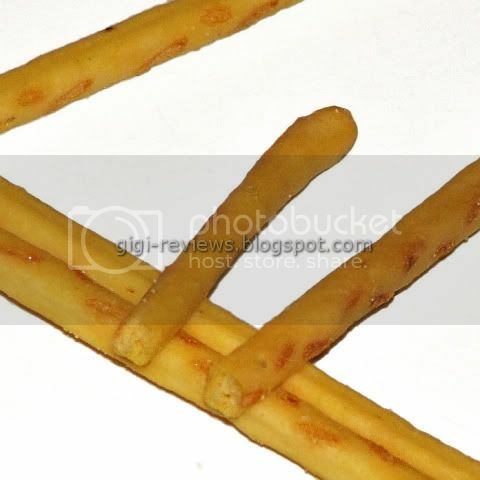 Pretz, for those unfamiliar, are the savory sibling of Pocky. 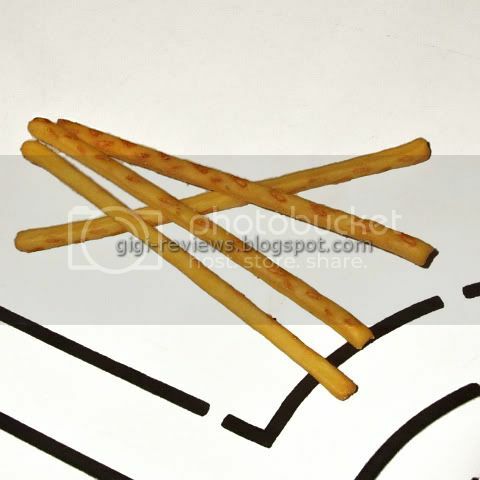 If you don't know what Pocky is, your life up to this point has been but a mere shadow of what it could be. Which means you need to get to J-List RIGHT NOW and order some...yes, you WILL thank me. These Pretz smell interesting. The best description I can give is sort of like cereal left next to strong coffee. Yes I know that sounds bad, but it's actually pretty good. The taste is as interesting and unusual as the smell. The first thing that came to mind was Cap'n Crunch cereal...kind of sweet, a bit of corn, but then as the sweetness dies down there is a very mild squash taste. A really good buttery, roasted acorn squash. Trust me when I say I am not doing justice to how good it tastes. There's a little bit of everything. It's sweet, it's salty, it's crunchy. I just loved everything about these Pretz. My only complaint is that now I need more! I have not spot that flavor yet. I try the apple and cheese. The apple one is pretty good. I guess I will wait till that flavor is avaliable at stores.